The department was established in 2001 to study the theoretical and methodological foundations for the intensification of physico-chemical processes to improve existing and develop new effective clean technologies and equipment for the extraction, processing and combustion of hydrocarbon carriers. A new approach to the organization of physicochemical processes is proposed, in which their intensification is carried out by means of object-oriented activation, with the activating substances and / or additional energy formed precisely during the course of the limiting stages of these processes and directly in the environments in what they happen to be. This allows organizing the implementation of energy conversion processes with maximum efficiency. This approach is realized when creating new innovative technologies for increasing the efficiency of extraction, processing and consumption of hydrocarbon carriers. The methodology of mathematical and computer modeling of hydrodynamics of flows of viscous incompressible fluid in hydrocarbon extraction and processing technologies with the use of the R-functions method was developed, which made it possible to conduct numerous studies in the elements of cavitation equipment and in isolated pores to take into account hydrogen activation in filtration problems. Experimental and mathematical modeling proved that hydrogen, especially atomic, is an activator of the diffusion process and increases the gas permeability of reservoirs of productive layers by 3-4 times. For implementation of hydrogen activation of diffusion in the hollow zone of wells, methods, recipe and technological equipment for hydrogen generation using new types of energy-accumulating substances and initiators of combustion were proposed. The methods of calculation of heat and mass transfer processes during hydrolysis of solid hydrotreating agents and the dependences of heat and mass transfer parameters on kinetic characteristics of gas formation, load factor of hydrogen generator section under pressure in the reaction zone up to 30.0 MPa were determined, which allowed to make calculations and to offer suggestions on constructive and regime the characteristics of equipment for the implementation of hydrogen thermochemical technology. The hydrogen thermochemical technology of processing the grapple zone of the productive layer by hydrogen generation (especially atomic) at all active stages of thermobarochemical treatment of the productive layer was improved for the intensification of diffusion processes and increase of reservoir permeability and for the implementation of hydrocracking processes of heavy hydrocarbons directly in the productive layer. Theoretically and experimentally it was proved that the use of complex hydrogen and thermobarochemical influence allowed to process coal horizons for the purpose of extraction of methane from wells, which were drilled from the surface. In this case, the hydrogen release through the hydrolysis of the hydro-reactive substances reduces the water content of the formation, and the proposed activators contribute to the burning of hydrogen in the porous space of coal, initiating the conversion of carbon dioxide, thereby increasing the porosity and permeability of the coal-rock massif. The new method of hydrocavitational activation (GKA) of liquid hydrocarbons and their emulsions was theoretically grounded, which allowed to intensify physical and chemical processes in homogeneous and heterogeneous environments, to influence the properties of the received fuel compositions, to receive energy with given properties. The necessary and sufficient conditions for its practical realization were determined. The mathematical modeling of fluid flows in the model channels of hydrocavitational equipment (GKA) was carried out, on the basis of which the designs of hydrocavitational and nozzle systems of increased efficiency were developed for the implementation of the hydrocavitational activation technology of a wide range of liquid hydrocarbons and their fuel emulsions. On the created experimental installation, the influence of HCA on chemical and technological processes occurring in hydrocarbons and hydrocarbon-containing emulsions was investigated. The possibility of carrying out processes for low-temperature (up to 100 ° C) cracking and hydrocracking of hydrocarbons with the use of hydrocavitational activation in the technologies of production of liquid and suspension composite fuels and their subsequent effective spraying and incineration was proved. This allowed additional use of non-standard hydrocarbons, phenolic water, low-reactivity coal and biomass to create energy resources with improved energy and environmental characteristics. An energy technology complex was created to determine the effectiveness of the use of CCAs and environmental indicators in the production and combustion of artificial composite liquid fuels from energy cabinets from non-standard hydrocarbons, sewage of various organo-mineral composition, low-reactivity coal, biomass, etc. The technological regulations were developed and research and industrial implementation of the technology of complex hydrogen and thermobarochemical influence of technology on oil, gas condensate and methane wells of Ukraine, China, Turkmenistan, Georgia and the Russian Federation was made, which confirmed its high efficiency. The developed hydrocavitation technology for the activation of hydrocarbon-containing emulsions and suspensions was tested on a number of energy facilities of Ukraine and Poland, where it showed high energy-and-eco-efficiency. 7. Кравченко О.В. Совершенствование технологии комплексного воздействия на продуктивные пласты нефтяных и газовых скважин / О.В. Кравченко, Д.А. Велигоцкий, А.Н. Авраменко, Р.А. Хабибуллин // Восточно-Европейский журнал передовых технологий. − 2014. − № 6/5(72). − С. 4 – 9. 14. Innovative Technologies for Utilization and Disinfection of Waste to Ensure Sustainable Development of Civilization /Irina Suvorova, Oleg Kravchenko, Igor Baranov, Vitaliy Goman// European Journal of Sustainable Development (2018), 7, 4, 423-434. Doi: 10.14207/ejsd.2018. v7n4p423. ISSN: 2239-5938. 15. Влияние водорода на течение и теплообмен в системе «трещина горной породы – флюид»/ Кравченко О. В., Суворова И. Г., Баранов И. А., Велигоцкий Д. А./ Інтегровані технології та енергозбереження / Щоквартальний науково-практичний журнал. – Харків : НТУ «ХПІ», 2018. – № 3. С. 35 – 47. 1. Патент №103686, Україна, МПК (2013.01) F25B 30/00, F25J 1/00 Тепловий насос кріогенного рівня температур/ Мацевитий Ю.М., Горпинко Ю.І., Кравченко О.В., Ільяшов М.О., Агафонов О.В., Кожухов О.Д., Баранов І.А. ; заявник і патентоутримувач ІПМаш НАН України. − № а 2012 00661; заявл. 23.01.2012; опубл. 11.11.2013, бюл. № 21. 2. Патент на винахід №101032, Україна, МПК C10L 1/32 (2006.01), F25К 1/02 (2006.01) Спосіб одержання та обробки перед спалюванням водовугільного палива/ Кравченко О.В., Андрієнко К.Ю., Суворова І.Г. ; заявник і патентоутримувач ІПМаш НАН України. − № а 2010 14716; заявл. 08.12.2010; опубл. 25.02.2013, бюл. № 4. 3. Пат. 102501, Україна, МПК E21B 43/24 (2006.01), E21B 43/25 (2006.01) Спосіб комплексного водневого та термобарохімічного впливу на привибійну зону продуктивного пласта / Кравченко О.В., Велігоцький Д.О., Мацевитий Ю.М., Сімбірський О.В; заявник і патентоутримувач Науково технічний концерн “Інститут проблем машинобудування” НАН України. − № а 2013 03001; заяв. 11.03.2013; опубл. 10.07.2013, Бюл. № 23. 4. Пат. 101032 Україна, МПК (2013) C10L 1/32, F23K 1/02. Спосіб одержання та обробки перед спалюванням водовугільного палива / Кравченко О.В., Андрієнко К.Ю., Суворова І.Г. ; заявник і патентоутримувач Ін-т проблем машинобудування ім. А.М. Підгорного НАН України. – № a 201014716; заявл.08.12.2010; опубл. 25.02.2013, Бюл. № 4. 5. Пат. на корисну модель 89291 Україна, МПК (2014.01) F23D 11/00, B01F 3/00, B01F 5/00. Форсунка-активатор / Кравченко О.В., Суворова І.Г., Баранов І.А., Тарасенко Л.В. ; заявник і патентоутримувач Інститут проблем машинобудування ім. А.М. Підгорного НАН України. − № u 2013 14346; заяв. 09.12.2013; опубл. 10.04.2014, Бюл. № 7. 6. Пат. 105077, Україна, МПК F25J 1/00 (2014.01) Спосіб змінення густини кріогенних газів і система установок для його здійснення / Мацевитий Ю.М., Горпинко Ю.І., Кравченко О.В., Ільяшов М.О., Агафонов О.В., Кожушок О.Д., Баранов І.А; заявник і патентоутримувач Інститут проблем машинобудування ім. А.М. Підгорного НАН України – № а 2012 07364; заяв. 18.06.2012; опубл. 10.04.2014, Бюл. № 7. 7. Пат. 114935 Україна, МПК (2017.01) С10L 1/32, С10L 10/00 Водовугільне паливо (Україна) / Кравченко О.В., Гоман В.О, Сімбірський О.В., Момот В.І. ; заявник і патентоутримувач Інститут проблем машинобудування ім. А.М. Підгорного НАН України. – № а 2015004460; заявл. 07.05.2015; опубл. 28.08.2017, Бюл. № 16. – 4 с. 8. Пат. 113894 (Україна), МПК В01F /16 Гідрокавітаційний пристрій для обробки рідин / Кравченко О.В., Гоман В.О, Сімбірський О.В., Момот В.І. ; заявник і патентоутримувач Інститут проблем машинобудування ім. А.М. Підгорного НАН України. 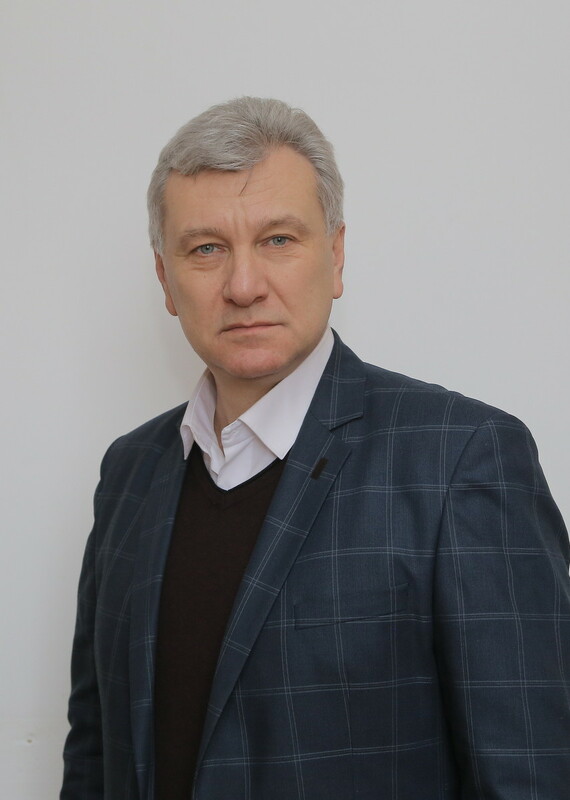 – № а 2015004466; заявл. 07.05.2015; опубл. 27.03.2017, Бюл. № 6. – 4 с.